half orphan, mentally-ill mother, her grandmother - the only family's breadwinner and provider - recently died. Become a doctor to help sick people like her mother. In Native American cultures, a dreamcatcher is a handmade willow hoop, on which is woven a net or web. The dreamcatcher may also include sacred items such as certain feathers or beads. Traditionally they are often hung over cradles as protection. Based on this mythology we support with the project "Dreamcatcher" children in need like Hương (see here for more details) , so that they do not end up on the streets. In addition to support for school education, we give them, for example, chickens and feed for a poultry farming. Thus, the families can improve their living conditions and be able to help themselves. 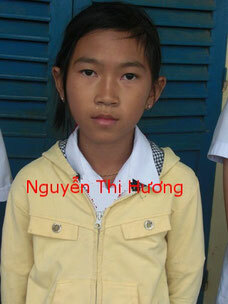 Account name: GiKaD - Give Kids a Dream e.V. Donations can also be made online via the donation platform betterplace.org (here). The donation receipts for your donations will be sent by e-mail in February of the following year. 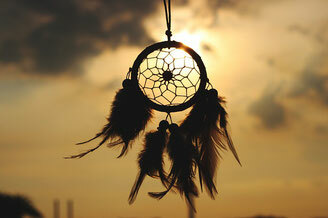 Dreamcatcher helps people help themselves.